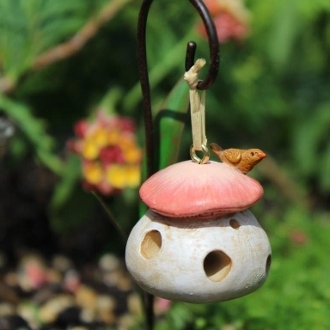 Mushroom Birdhouse/Birdfeeder for Miniature Fairy Gardens. Dimensions: 1.25″ Tall 1″ Diameter. Stand Not Included.